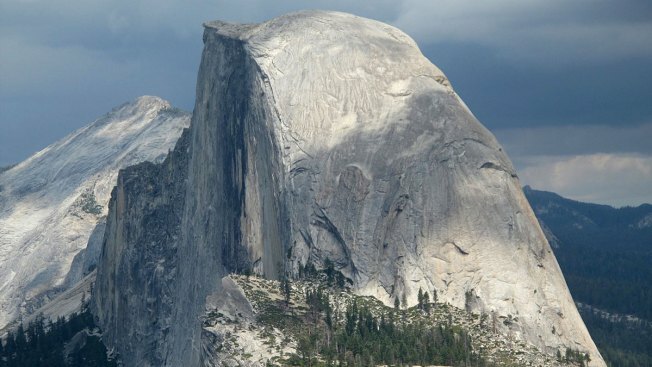 A hiker died after falling from the Half Dome cables in Yosemite National Park Monday afternoon. The man, who has not yet been identified, was hiking with another person in stormy weather conditions when he slipped and fell off the cables around 4:30 p.m.
Park Rangers were notified and assisted the second hiker who made it down safely. National Park Service said the two hikers were scaling the steepest part of the trail where rangers recently installed cables to help hikers get to the top of the 8,800-foot rock face. This is the first fatality in the Half Dome cables since 2010 and the first visitor fatality in 2018, officials say. The victim's body was recovered Tuesday and the incident remains under investigation.